Can roaming be saved after Brexit? The referendum where UK voters chose to exit the European Union has many unanticipated consequences. One that is gaining visibility in the UK just now is the impact of Brexit on mobile roaming arrangements. How might the UK maintain roaming arrangements with the EU in the event of a hard Brexit? The referendum where UK voters chose to exit the European Union has many unanticipated consequences. One that is gaining visibility in the UK just now is the impact of Brexit on mobile roaming arrangements. UK citizens should not count on continuing to enjoy inexpensive mobile roaming when travelling in EU Member States unless measures are taken to preserve it. The issue has had far greater visibility in the UK than in the EU because the price increases that can be expected have proportionally far greater impact on UK subscribers than on EU subscribers. With that in mind, this post is largely written from the UK’s perspective. Current roaming arrangements with the EU will end. If the UK were to decide either to remain an EU member state, or to become an EEA member state (like Norway), roaming arrangements with the EU would continue as they are today. In all other scenarios, EU roaming arrangements will cease to apply to UK mobile customers the moment that Brexit takes effect. That would mean that those with UK subscriptions would tend to pay substantially more than they do today when roaming in the EU, and those with EU subscriptions would tend to pay substantially more than they do today when roaming in the UK. The UK cannot solve this problem unilaterally. The Great Repeal Bill could control retail prices within the UK, but it cannot dictate the wholesale charges that EU network operators levy on UK network operators for UK subscribers who roam in the EU. Current retail prices for roaming cannot be sustained if wholesale costs are allowed to run wild. Current EU Roam Like at Home (RLAH) arrangements are not the best way forward for the UK post-Brexit. The ill-conceived RLAH arrangements that the EU put in place in 2016 are bad for EU consumers, disastrous for some EU network operators, and potentially doubly disastrous for most UK network operators (and thus for consumers) post-Brexit. If there was any logic at all to the decision of the British electorate, it was to avoid well-intentioned but misbegotten European rules. If there was ever a well-intentioned but misbegotten European rule that the UK would be well advised to avoid, RLAH is it. The only realistic possibility for the UK to maintain inexpensive roaming with the EU (with or without RLAH) depends on agreeing on low wholesale roaming prices as part of the Brexit negotiations. Any agreement would have to be part of a broader arrangement that has “substantial sectoral coverage”; otherwise, GATS/WTO rules would get in the way. A free trade agreement entered into as part of the Article 50 process could avoid this problem. If only it were so simple! The Minister, who is obviously well aware of the importance of wholesale pricing, appears to be cheerfully glossing over the crucial fact that the UK’s Great Repeal Bill cannot compel Mobile Network Operators (MNOs) in EU Member States to continue to offer inexpensive wholesale roaming services to UK MNOs. EU MNOs will be able to set the wholesale prices at whatever level they choose post-Brexit. We digress for a moment to remind the reader of the basic wholesale/retail linkages. The easiest form of IMR to explain is the case where a roamer subscribed to Home Network (HN) A in Country A is visiting Country B and uses network B as a Visited Network (VN) to place a call (see Figure 1). The roamer pays his or her Home Network in Country A. Mobile Network Operator (MNO) B actually places the call on the roamer’s behalf, thus incurring both origination and termination costs, much as if its own subscriber had placed the same call. MNO B (the VN) receives no retail revenue for this service; however, it receives a payment at wholesale level from MNO A (the HN). The same basic flow of payments applies to SMS messages sent and to roaming data; however, each service has its own idiosyncrasies. To MNO A, this wholesale payment is a real cost (except in the case where MNO A and MNO B are part of the same corporate group). Any profit must be net of this cost. In the EU, wholesale and retail roaming prices have been subject to regulation since 2007. Until the middle of 2016, the European institutions were always careful to ensure that the price of roaming would not be forced to levels that obliged the MNOs to sell at a loss, since there would otherwise be the risk that roaming services might be withdrawn from the market. Is EU-UK Roam Like at Home (RLAH) desirable? Is it achievable? We would suggest that the appropriate goal for the UK in terms of roaming is not a restoration of the current status quo, but rather a restoration of roughly the state of affairs that existed during the first half of 2016. In 2015, the European institutions enacted Regulation 2015/2120, thereby implementing Roam like at Home (RLAH) – mobile charges when roaming were no longer permitted to exceed those charged domestically. RLAH is politically popular, but economically irrational. Our view is that it will significantly increase the price of mobile services overall (not just of roaming services), and that RLAH will with high likelihood reduce societal welfare in the EU. Multiple factors contribute to this unfortunate outcome. 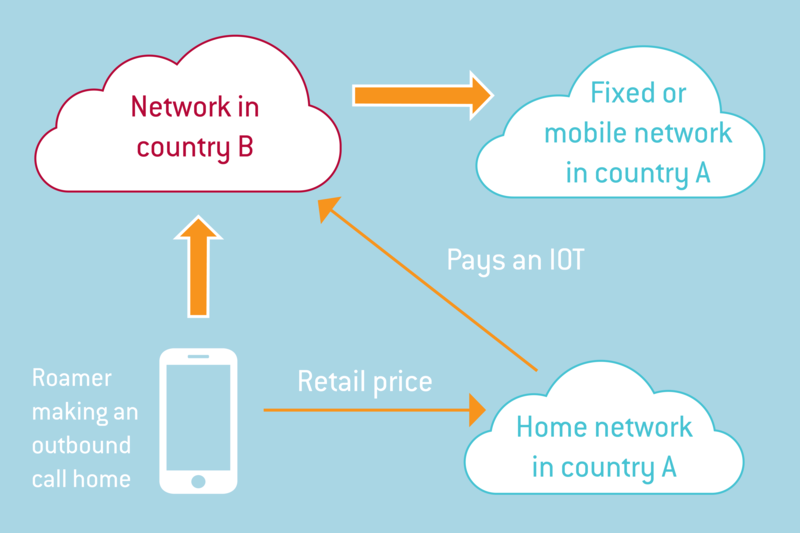 At the same time that RLAH breaks down the distinction between domestic service and roaming service, it also breaks down the relationship between the price that consumers pay for mobile roaming service and the cost to the subscriber’s network operator (in terms of wholesale payments that must be made to other mobile to network operators). 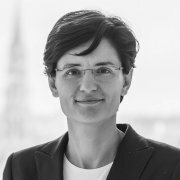 In a thoughtful analysis in 2014, the European national regulators rightly argued through their joint organisation BEREC that RLAH was “unsustainable” in the sense that it would be nearly impossible to avoid negative margins for many network operators. RLAH as implemented threatens to drive the price of international mobile roaming to levels below cost for many network operators, and to distort competition overall. The impact on large groups such as Vodafone is limited, because they have presence in so many of the Member States, and are able to internalise costs. For mobile network operators that operate in only a single Member State, and even more so for mobile virtual network operators (MVNOs) who always pay wholesale roaming fees and never collect them, the effect can be expected to be somewhere between serious and catastrophic. This effect is not yet fully visible, because it has historically taken as much as two years of more for consumer usage patterns to adjust to the new retail pricing realities; at the same time, we are already hearing of UK subscribers who watch video all day on their mobile phones while on the beach in Spain. As consumer usage increases, roaming costs for all but the largest MNO groups will increase far more quickly than roaming revenues. Some of the smaller MNOs and MVNOs will stop offering mobile roaming services, thus becoming niche players. Some will simply become less aggressive and less effective competitors. The rest will exit the market or be acquired. The increase in cost for competitors that otherwise might have been aggressive, coupled with a likely decrease in competition due to market consolidation, will predictably lead to an increase in prices for all mobile services. Aside from that, there is no obvious way for the UK to negotiate a sustainable mutual implementation of RLAH with the EU, since no implementation could ever be truly sustainable. What wholesale price would the UK seek, if current levels within the EU are arguably already too high relative to price, but too low relative to cost? Again, the goal for the UK should be to restore the status quo of early 2016, not the current flawed status quo. The European Union has informally been invited on occasion to extend the benefits of the Roaming Regulation to third countries, and has consistently declined. The reason has to do with the detailed provisions of the General Agreement on Trade in Services (GATS). For reasons that should now be clear, any bilateral roaming agreement would require the countries involved to agree not only on retail prices, but also on wholesale prices paid between their respective MNOs. Under the GATS (as most lawyers would interpret it), however, if a country’s MNOs offer a wholesale price to MNOs of another country, they would be obliged under Most Favoured Nation (MFN) provisions of the GATS to offer the same terms and conditions to all WTO members. The GATS does not foresee the need to impose reciprocity in wholesale pricing or in retail conditions. The clear implication is that for the EU to open these arrangements to any third country, in the absence of additional safeguards, would enable free riding by all WTO members, without obliging them to take steps to make inexpensive roaming available to EU subscribers in return. Fortunately, the UK and the EU are well positioned to avail themselves of one of the work-arounds within the GATS. The relevant provisions of the GATS need not apply where a country has entered into a broad based free trade agreement. The UK has made clear its desire to implement a free trade agreement with the EU as part of the Brexit process. This might conceivably be part of the negotiations under the Article 50 TEU process, but more likely would be a separate subsequent FTA. No matter how it is implemented, it is clear that it would constitute a broad-based multi-sectoral FTA that could reasonably be expected to exempt the EU and the UK from claims from third countries under Article 2 of the GATS. The upshot is that beneficial roaming arrangements could be implemented between the UK and the EU in a fairly straightforward way, if there is willingness to do so. Doing so produces clear benefits both to the UK and to the EU. Negotiated low wholesale rates are the key to any solution to this problem. We argue that the goal should be to achieve low but sustainable prices similar to those that hold now, or those which held in the first half of 2016, rather than to implement RLAH arrangements; either way, negotiated low wholesale prices are absolutely crucial and fundamental. Each would impose caps on the wholesale charges that its MNOs are permitted to impose for inbound roaming services for subscribers from the other. There would be separate caps at levels mutually agreed and specified of caps for voice calls placed, data sent or received, and SMS sent. Each would agree to require its MNOs to continue to provide the services necessary the other’s MNOs to implement bill shock measures (e.g. CAMEL …). These are the measures that inform the user, typically by means of an SMS message, that the charges that are being incurred are unexpectedly high. We strongly recommend that the EU and UK also agree to continue to collect statistics on roaming traffic, wholesale and retail charges, as BEREC does for EU/EEA countries today. Some adjustments to the collection and reporting mechanisms would likely be needed if RLAH is used within the EU, but not for EU-UK roaming. The goal might be that MNOs in the EU and in the UK might offer roaming services to its subscribers at retail prices no greater on average than 130% of the wholesale charges; however, it does not seem to be necessary to govern this through the FTA. The UK could manage UK retail prices through UK law or regulation if it chooses to do so, and the same goes for the EU. In principle, the EU has no reason to care what retail prices UK MNOs charge to UK subscribers, and likewise the UK has no reason to care what retail prices EU MNOs charge to EU subscribers post-Brexit. There are details that would need some work. Mobile Termination Rates (MTRs) in the UK are aligned with those of the EU at present, but they might diverge over time. Roaming arrangements for calls received depend on those MTRs, and probably require measures beyond those sketched out above in any case. Beyond these clear issues, complications can arise among countries outside of Europe with taxes, non-liberalised international gateways, and more. These have never been an issue in Europe, but it might be prudent to agree in advance as part of the FTA that neither party would introduce distortions such as these in the post-Brexit future. This author believes that a negotiated outcome along these lines is an overall win-win approach for both the UK and the EU. Overall benefits for both EU and UK consumers are clear; however, whether it is possible to achieve this as a negotiated outcome remains to be seen. Incentives are not perfectly aligned between the UK and the EU. Perhaps more important, incentives are not aligned among EU Member States – those whose network operators are net recipients of wholesale payments (for instance, countries that border the Mediterranean) may prefer that wholesale rates for UK roamers are allowed to increase. In sum, this is a complicated space; however, assuming good will on all sides, it should be possible for the EU and the UK to craft mutually beneficial reciprocal international mobile roaming arrangements post-Brexit. Sound analysis and clear thinking are needed all around. J. Scott Marcus (2016), Mobile roaming, Brexit, and unintended consequences, at http://bruegel.org/2016/06/mobile-roaming-brexit-and-unintended-consequences/. Price effects will not be the same for all network operators. Some are better able to absorb the impact than others. DCMS, Letter to Sir William Cash 20 April 2017, at http://europeanmemoranda.cabinetoffice.gov.uk/files/2017/03/300766_Cash.pdf. They might be limited by countervailing bargaining power of UK MNOs, and by consumer elasticity response to increased pricing, but historical experience suggests that wholesale prices would increase dramatically. BEREC (2014), International Roaming: Analysis of the impacts of “Roam Like at Home” (RLAH), BoR (14) 209, 17 December 2014. BEREC argues that that (1) wholesale revenues to the VN should be at least as great as the associated costs, and that (2) retail revenues should be at least as great as the payments that the HN makes to the VN. Protections that were designed into the Regulation by the Council have been rendered largely ineffective by flawed implementation by the Commission. Christian Growitsch, J. Scott Marcus, and Christian Wernick, “The Effects of Lower Mobile Termination Rates (MTRs) on Retail Price and Demand”, a research project for the German BNetzA, available at: http://papers.ssrn.com/sol3/papers.cfm?abstract_id=1586464. The evolution of domestic mobile roaming in the US after AT&T’s introduction of Digital OneRate service in 1996 provides a clear indication of what one should expect. 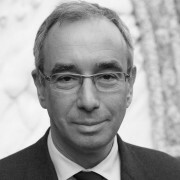 See J. Scott Marcus and Imme Philbeck (2010), “Study on the Options for addressing Competition Problems in the EU Roaming Market”, at: http://ec.europa.eu/information_society/newsroom/cf/dae/document.cfm?doc_id=1491, pp. 51­‑53. Article II(1) GATS. Note that the commitments made by the EU contain no special provisions or exceptions for international mobile roaming. See WTO (11 April 1997), Trade in Services: European Communities and their Member States: Schedule of Specific Commitments: Supplement 3, GATS/SC/31/Suppl.3, (97-1526). Under Article V(1) GATS, exclusive agreements between members liberalising trade in services are permitted provided that they have “substantial sectoral coverage”. In other words, a suitably drafted multi-sectoral FTA would effectively shield the signatories from MFN claims under the GATS from countries outside the scope of the FTA. We assume that any UK-EU FTA would effectively be bilateral. 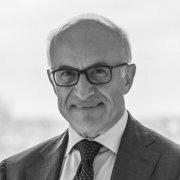 Where multiple countries participate in a multilateral FRA but not all offer one another reciprocal roaming agreements, a more complicated variant of the same problem can arise; however, the problem is elegantly solved in Art. 13.6 of the Trans-Pacific Partnership (TPP), which could serve as a model in the event that it is needed. 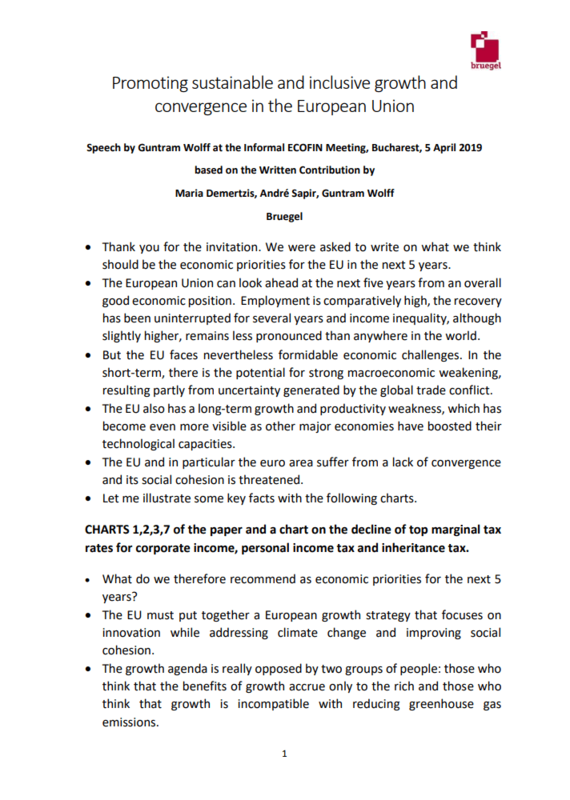 This speech was delivered by Guntram Wolff at the Informal ECOFIN Meeting in Bucharest on 5 April 2019. How should the EU taxation policy be reformed? 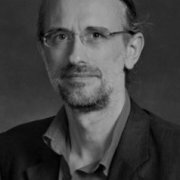 Bruegel senior fellow J. Scott Marcus joins Sean Gibson for this episode of Deep Focus on the 'The Sound of Economics', elaborating on a Bruegel study for the European Parliament into the progress made with the Commission's Digital Single Market Strategy since 2015. 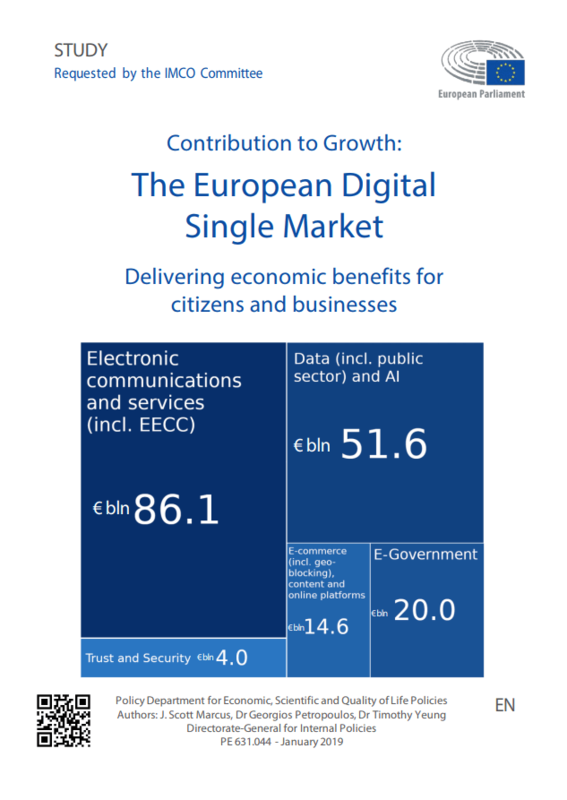 Numerous legislative measures have been initiated or enacted in support of the overall achievement of a Digital Single Market (DSM). This in-depth analysis provides a brief stock-taking of what has been achieved in economic terms, of what remains to be done, and of candidate initiatives for the next legislative term. With Brexit getting closer, it is still extremely difficult to predict which one of the possible outcomes will materialise. Guntram Wolff examines what exactly it would mean for the UK to 'crash out' of the EU, for both parties. 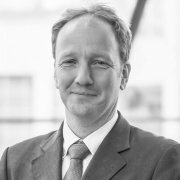 Bruegel director Guntram Wolff is joined by senior fellow Zsolt Darvas to rake through the possibilities and probabilities inherent in a no-deal Brexit scenario, covering trade, the Irish border, citizens' rights and the EU budget.